...he's just very in tune with his artistic side. When we were decorating Easter Eggs, Scott made a few changes. I had the dye in blue and green and yellow IKEA bowls. 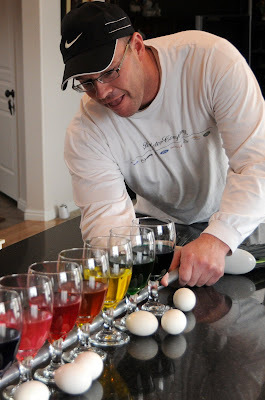 Scott decided that the bowls would be too hard to dye the eggs in and how on earth were they supposed to know which color of dye was in each bowl. 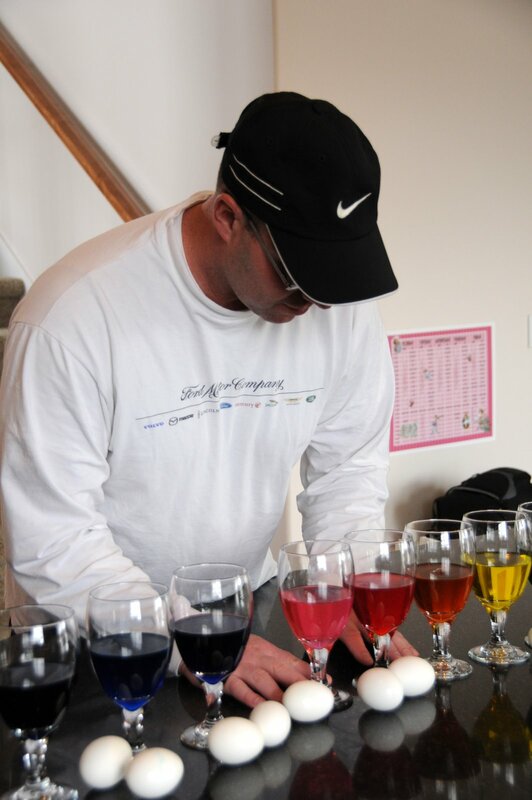 So, he poured the dye into water goblets. 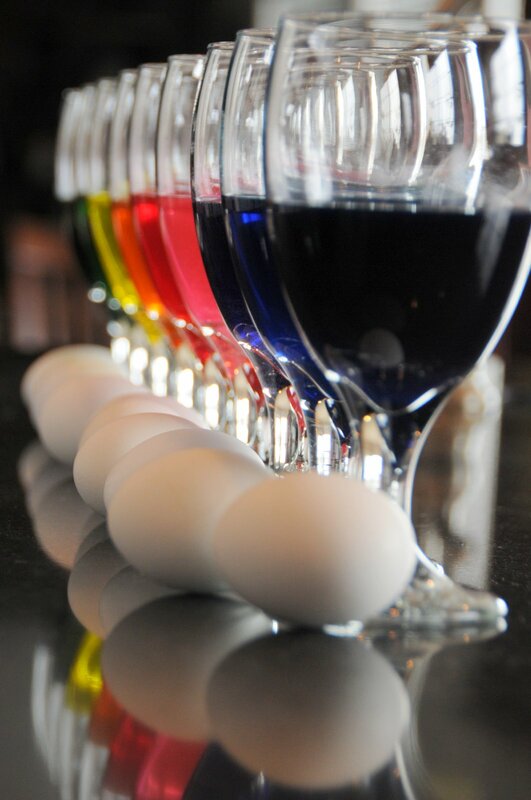 As long as we were creating the color spectrum, why not put them in order. And if you are going to put them in order, why not take pictures of them? 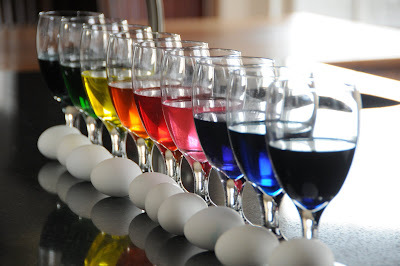 Once everything was lined up, and the eggs were nicely and aesthetically placed, he art directed the angle of the photographs. Behind the scenes, you would see that he even had me get out my light stands. I do love how the pictures turned out, but if we were to do it again, I would have taken a few more minutes and gotten out my white backdrop and moved it to a location that would not have had the faucet in the background. There is always NEXT Easter. 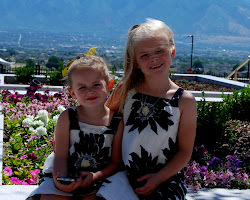 I love the pictures.... cute post! 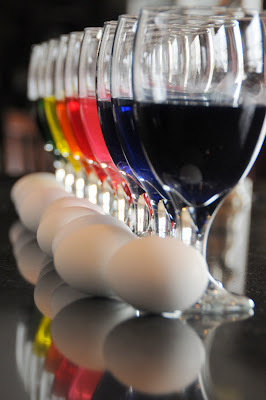 Those pictures are so pretty it makes me want to crack out the food coloring and play with my camera!! !